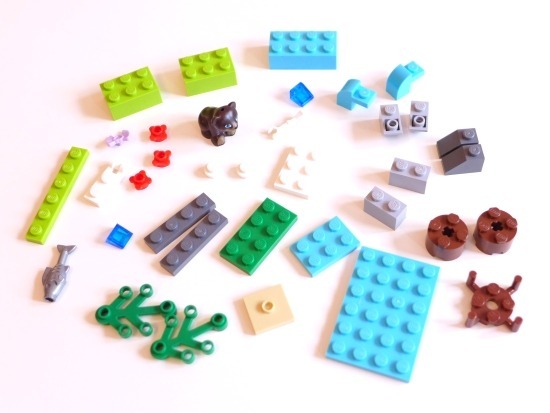 ​We suggest you to read a lovely blog post by David Gauntlett who has written about the possibilities of using as small LEGO kits as possible. He suggested the set below. 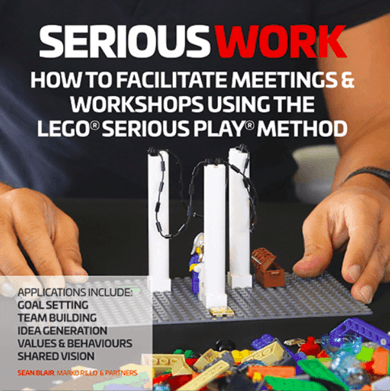 ​It is the smallest kit you can use to have meaningful ​LEGO® SERIOUS PLAY® conversations. There are 37 pieces. There are some bricks, sort of nature kind of things, and some harder, more urban kinds of things. In other words, there’s some green and blue stuff, and flowers, and also there’s some grey stuff. Also a bear and fish figurine. You can make a range of different things with these 37 pieces. You can show a model of a journey, or a sort of diagram of relationships, or highlight particular challenges or decisions. You can convey personal and serious thoughts, feelings, issues and dilemmas. 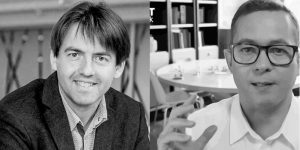 The models that were built do, inevitably, have similarities – there tends to be a bear (!) and some other stuff, nature, fish and flowers – there’s no getting away from them really – but crucially, the meanings attached to the pieces are different, and so very different things can be communicated. ​A note for if you are now attracted to LEGO set 41046, Brown Bear’s River: LEGO sets don’t have a very long shelf-life; instead the company regularly makes new things which replace the older things. So the Brown Bear may only be around until September/October 2014. The good news is, there are always rather a lot of other good LEGO sets just around the corner.